Your vehicle is an important part of your life, so you want to make sure it’s in good working condition. A free maintenance and safety inspection from Wotton Tyre & Exhaust Centre can keep you and your car working together for a long time. Checking your car’s engine oil is one of the simplest and most important maintenance activities. Finding and fixing an oil problem before it damages your engine can save you thousands of pounds in repair costs. Running an engine without oil will cause the engine to seize, and you won’t be going anywhere. Transmission fluid is what keeps your car changing gears smoothly. Operating your vehicle with too much, or too little, transmission fluid can damage your engine's transmission. If you have ever turned the key to start your car only to have nothing happen, you know the importance of having a fully charged battery. Our technicians will check your battery for the correct fluid levels, charge and damage. Having a clean air filter in your car is a good idea before going on any trip because it can save you money. The cleaner the air filter, the more air that flows into your car’s engine, which in return gives you better fuel mileage. Checking the filter is another simple process. 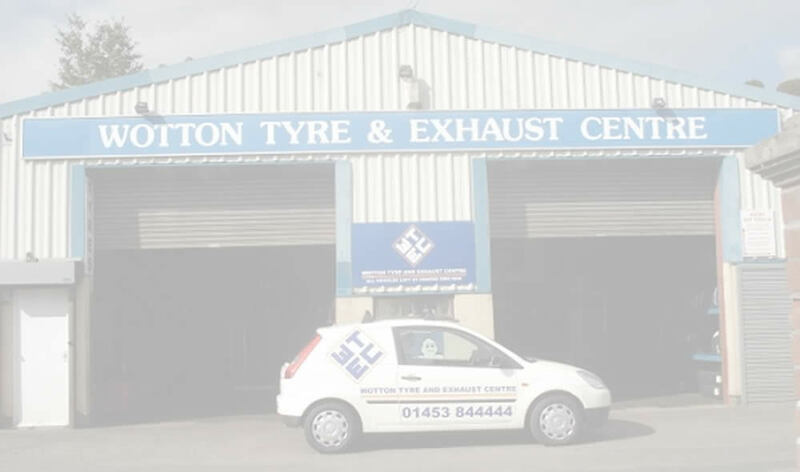 Wotton Tyre & Exhaust Centre technicians will check to see how much dirt and dust the air filter has collected. If it’s still mostly white, you should be OK with your current filter. If it’s black or brown, it’s time to replace the filter. The radiator keeps the engine cool, so it’s important to make sure the radiator has water. We will make sure your vehicle's radiator has the proper level of antifreeze/water mixture. This is a simple but useful task, especially if you drive at night. Our technicians will check all your lighting functions (headlights, taillights, brake lights, both indicators -- front and back -- and hazard warning lights). If we see that a light bulb is gone, we will have a replacement bulb for you. This is another important procedure. Your tyres are the only connection you have to the road, so you want to make sure they are working properly. Wotton Tyres will measure the pressure of each tyre to make sure they are correct. Our technician will also measure the tread on each tyre, including your spare to insure you have a legal, and safe amount of tread on each of your tyres. Lastly, we will visually inspect each tyre to ensure there is no physical damage or punctures to the walls or treads.